Rose essential oil has long been used for beauty purposesdue to its wonderful benefits for the skin and face including anti aging. Because of its astringent and anti-microbial properties, it also makes a great acne reduction treatment and can be helpful to soothe and minimize rosacea redness or flare-ups because of its anti-inflammatory properties. In addition, due to its healing properties, it can also be used to minimize the appearance of surgery scars.People with mature and dry types of skin can particularly benefit themselves by using this oil. For me, a product that belongs to the same family, the rose water toner, is the one of the best toners to have a clear, vibrant and healthy looking skin, balancing oiliness and preventing acne breakouts but rose essential oil can be even stronger if topically applied on blemishes. Nevertheless, before applying any essential oil directly to your skin and especially on your face, you should always perform a patch test. There are not that many essential oils that are recommended to be used directly on the skin, so it is always better to first dilute them in a carrier oil like almond oil, or jojoba oil and coconut oil that are best for acne prone or oily and combination skin. Rose essential oil has many other uses apart from using it on the skin, like using it in an essential oil diffuser and of course it has that soothing all time classic smell that may bring back nice memories of the past like our mother doing her skincare routine using those rose beauty products that used to smell divine. What is the Difference between the Rose Otto Oil and the Rose Absolute Oil? 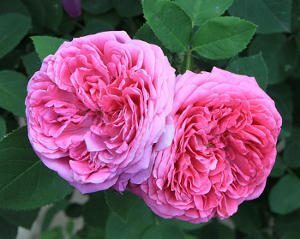 When looking for the best rose essential oils, keep in mind that you will bump into two names and these are Rose Otto and Rose Absolute. The difference between them is the way of extraction. While Rose Otto is steam distilled, Rose absolute is solvent extracted which makes it a less pure and healthy option of a rose oil. Also, the rose otto is a lot more expensive and has therapeutic properties while the Rose Absolute is very much used in perfumes because of its strong scent. Due to its cheaper price, Rose absolute oil can be more easily used in essential oil diffusers. What is the Best Rose Oil for the Face? Both Rose Otto and Rose Absolute Oil can be used in DIY skincare products (always recommended to do a patch test first) but of course the Rose Otto is a healthier and more active option regarding to its benefits for the skin including your face while the Rose Absolute can preferably be used in DIY body skin care products, but of course the choice is always yours. Also, as we have said before, it is safer to use rose essential oil on the skin and especially on the face if you first dilute it in a carrier oil. Nevertheless, there are rose oils that are pre-diluted but then they are not essential oils. In this review, I have first selected to review the best rose Otto Essential oils and then the Rose Absolute oils. Each product is reviewed in detail about its most important characteristics, also giving some feedback coming from the users. So, let’s have a look at some of the best rose essential oils. 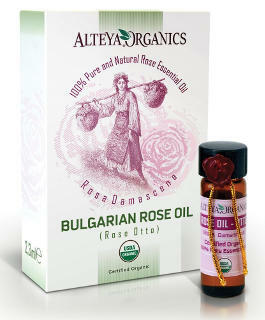 The Alteya Organics Essential Bulgarian Rose Oil is certified organic and according to the company, it is made by 100% pure rose otto which is another name for the Turkish rose. It is steam distilled and the fact that it crystalizes at specific temperatures indicates that it is made of real Bulgarian Roses. The way to bring it back to its liquid form is to warm up the bottle a bit. You can do it by rolling the bottle in your palms for a minute or two. This oil has therapeutic, healing and beautifying properties and is medicinal grade. Its scent is deep. Users state that it has a nice long lasting scent and they like the fact that it is extremely potent. It also works great in DYI skin care products and helps provide people with a glowing skin. They also like this rose essential oil in face washes and moisturizing lotions and find that its scent is extremely relaxing. 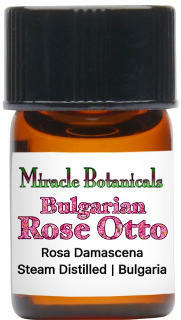 The Miracle Botanicals Bulgarian Rose Otto is a 100% steam distilled essential oil that is made from the petals harvested from the so called valley of roses in Kazanlak, Bulgaria. The botanical name of the roses that make this oil is Rosa Damascena. It comes in three different sizes of bottles and according to the company it helps hydrate, nourish and rejuvenate the skin while it is particularly beneficial for dry or sensitive types of skin. This is a therapeutic grade rose essential oil that has great healing and anti-inflammatory properties. People review that this is an outstanding oil with an amazing smell which resembles roses that are freshly cut. Users find that it actually smells better than other rose otto oils and is more active. It is used by many to be added in toners and moisturizing face creams of theirs who report better skincare results when doing so. It also makes a great natural product to minimize and heal surgery scars. The ¨Plant Therapy Essential Oils¨ is a reliable and well established company in the world of essential oils´ production for a lot of years. Their Rose Absolute Essential Oil is solvent extracted of the Rose x damascena, also known as the Damask Rose, which according to wiki, it is a rose hybrid that is derived from rosamoschata and rosagallica. So, this is a pure essential oil deriving from real roses. According to the company, its scent is rich, sweet and floral. It has calming properties and when used on the skin, it reduces aging signs such as wrinkles and makes skin smooth. Reviews of the Plant Therapy Rose Absolute Essential Oil reveal absolutely happy customers with the product. What they like is the high quality of this rose essential oil, the fact that is unadulterated and smells delicious like real roses, and also its good price. 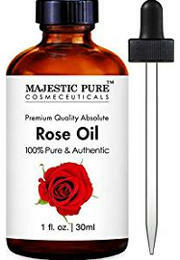 Its consistency is thick which is normal for a pure rose oil but since sometimes users have had issues with the oil not flowing easily through the dropper, the company has provided them with new bottles that perform very well, so people are also very pleased with the customer service of the company. Edens Garden is another trustworthy company that creates high quality essential oils. Their Rose Moroccan Pure Essential Oil is GC/MS tested to ensure therapeutic grade quality and is also free of GMO, pesticides and additives. The botanical name of the rose used is Rosa Centifolia. This product comes in different quantity bottles with the euro dropper caps not being included with the 100 and 250 ml bottles. It is solvent extracted, medium thick and has a rich and sweet floral aroma which is a bit herbaceous. The color is orangey-red and it has a shelf life of four years. Moreover, the company offers a handy brochure containing 150 ways to use essential oils. People are very satisfied with the high quality of this therapeutic oil and love using it in aromatherapy massages, on the wrists and on their face to reduce redness.Edens Garden is one of their favourite brands when buying top quality essential oils. The company makes another rose essential oil which comes from Bulgarian roses and we will review it next, and people say that the Moroccan´s scent is not as sweet and strong as the Bulgarian one´s. This Edens Garden Rose Bulgarian Essential Oil comes, as the title indicates, from Bulgarian rose petals and its botanical name is Rosa damascena, a synonym to Rose Otto or Turkish rose. Its consistency is thick, the color is orangey-red and the aroma is sweet, rich and flowery, smelling like real roses. Similarly to the Edens Garden Oil above, this oil is high quality and followed with a guide on essential oils. People like the many uses of this product and its top quality. It can be used to make different DIY skin care products like lotions, bath salts or perfumes and even room fresheners. It helps with wrinkles while it makes the skin soft. It also has calming and anti-fungal properties. Although for some people it is a bit pricey but worth buying, for others its price is reasonable since what they are buying is a pure rose essential oil. Aura Cacia creates good quality products and their Rose Absolute Essential Oil is made from the Rosa damascena without any dilution with other ingredients. They recommend it for aromatherapy treatments, creating perfumes, diffusing and well as applying on mature skin to provide it with revitalization and nourishment. Its scent is described as warm, rich, long lasting, floral and uplifting. This oil comes with a safety cap. People feel comfortable and pleased with the standard quality control this product like all Aura Cacia natural oils has passed. They say it is potent and well worth the price. The scent is heavenly and if you want your house or skin to remind you a backyard full of roses, well..that´s a good point to start with. This Aviano Botanicals Rose oil neither comes from Rosa Centifolia nor from rosadamascena. According to the company, it is an essential oil that comes from a rose originating from France. The company recommends this product for aromatherapy use, facials, perfumes, face, hair and more. They say it has no additives and the best scent. It comes with a 100% guarantee. People say that it has a nice scent, it´s not thick and works exceptionally well in DIY skin care products. It is very healing, tightens the skin and has a calming effect. They love how soft their face feels when using it and feel that it is a very good value for the price. This is a Rose Absolute oil that comes in a 10 ml amber bottle and is followed by a money refund guarantee. Moreover, it gathers a lot of comments but not always positive ones and let´s see why. Some users find that it has a nice scent, but some others think it´s too strong and not so real. People use it for their oil diffusers and some DIY skin products they like to make. They also like that it is quite affordable. This Majestic Pure Rose Oil is produced from Rosa damascena and contains no additives. According to the company, it has a rich sweet scent and can be used for many purposes such as wound infections, relief of cramped muscles, strengthening hair roots and more. They also suggest mixing it with a carrier oil if you are not using it for aromatherapy diluting 8 drops in 10 ml of carrier oil. This product is 100% guaranteed. People like the rose scent of this oil with some finding it intense but nice. Mixed with some carrier oil, this product gives a glow to the skin while people also like using it in soaps and lotions that they themselves make. Now Foods Rose Absolute is a pre-diluted rose oil which makes it suitable to be used directly from the bottle on the skin without first diluting it. 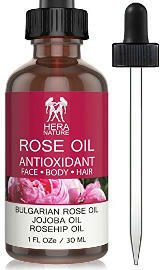 The rose used in it is Rosa damascena and the carrier oil used is said to be grape seed oil. While some users find its scent just the right strength, others find it very light and just not enough. Since it is mixed with grape seed oil, you might not get the smell strength you want by diffusing it. In addition, this oil is preferably used by some people for dry winter skin, making it soft and glowing. They say that this is a gentle oil for their skin and feel that it´s hydrating. This Hera Nature Rose Oil is made with Bulgarian Rose Damascenaand comes in a 1 ounce amber bottle with a dropper applicator. It is mixed with jojoba oil and rosehip oil so it is not recommended to be used in a diffuser but it can be used on the skin directly since it is diluted. It comes with a money back guarantee. This oil leaves skin silky and smooth while a small amount goes a long way. Users also say that it reduces wrinkles and works great in DIY skin care products. They love the natural rose scent and like that it absorbs quickly into their skin. 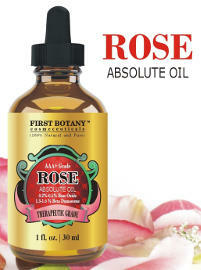 This First Botany Cosmeceuticals Rose oil is a rose absolute oil coming from rosadamascena that is grown at the base of the Himalayan Mountains and is available with a money back guarantee. Users find that this oil has a wonderful scent but not everyone is satisfied with its fragrance. In addition, it improves the appearance of their skin and the price isvery good. All in all, if you are looking for a therapeutic grade or excellent quality rose essential oil for the face and skin, rose otto is the best, and in this review you can find some of the best rose essential oils for face care as well as all other uses.